The hotel lies within a vast manicured garden which has an unobscurred view of the Victoria Falls bridge and the spray of the Falls. A private path leads guests from the gardens to the entrance of the Victoria Falls rainforest in an easy 10 minute stroll. Victoria Falls offers a myriad of activities suitable for young and old, adventurous or lethargic to enjoy. 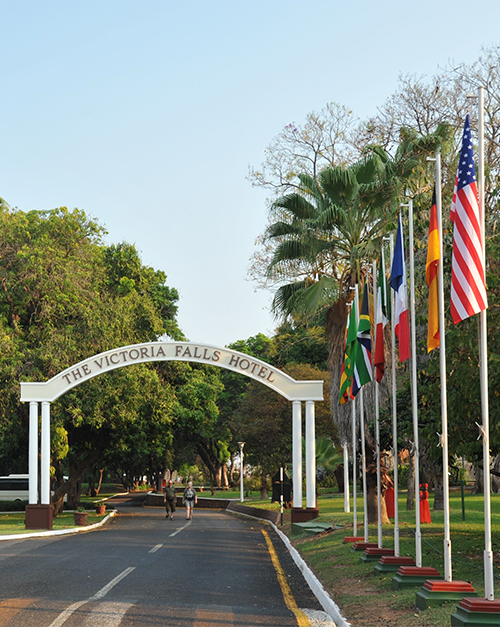 The Victoria Falls hotel is perfectly positioned within the town to enjoy all Victoria Falls has to the fullest.